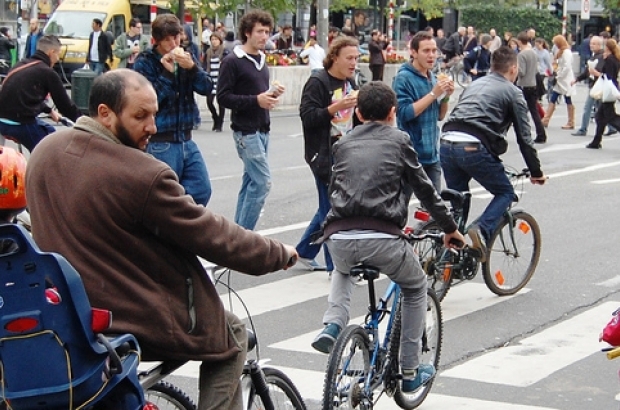 More than 200 expats took part in an online survey about their cycling experiences in Brussels. Questions focused on bicycle safety, the quality of cycle lanes, the bike-sharing system Villo! and possible solutions to making the city more bike-friendly. The results, compiled by cycling advocate Kwinten Lambrecht, point out both the negative and the positive aspects of getting around by bike in the capital. "I wanted to know what people from all over Europe think of Brussels as a cycling city," said Lambrecht. The expats surveyed shared their ideas on how to make cycling in Brussels safer and more attractive: more cycle lanes and car-free zones, a congestion tax for cars and an increase in tax benefits for city cyclists. "I truly believe that Brussels has a lot of potential to become a 'smart city' when it comes to mobility issues," said Lambrecht, "but at the moment politicians focus too much on business in Brussels and not enough on making Brussels more liveable."